We are pleased to announce that our next free webinar, 'Putting your story on the map with Google Tour Builder' will be held this coming Thursday 30th November 2017 at 3:15pm (GMT+2). Our speaker will be Linda Foulkes, MIEE / Freelance Trainer / Consultant / Courseware Author / eLearning Content Creator at Foulkes@Work in the United Kingdom. This will be SchoolNet's final webinar for 2017. How much do you know about Google Tour Builder? Google describes its product like this: "Tour Builder is a new way to show people the places you've visited and the experiences you had along the way using Google Earth. It lets you pick the locations right on the map, add in photos, text, and video, and then share your creation." In Thursday's webinar Linda will take us through this amazing, free program. We invite you to join us! Summary: Linda says, "Students and Teachers can create an interactive timeline-like experience to share information using features from Google Earth, Google Drive, YouTube, Photos, and so much more, using the free tool, Google Tour Builder. Creating a Google Tour transforms your traditional interactive map by adding in a multimedia component that helps students gain a deeper understanding of content. During this session we will explore Tour Builder and learn how to add locations, photos, video and descriptions to create a visual timeline of events." The SchoolNet Conference 2017 has been and gone but the memory lingers on... This post brings you a handy list of links including links to presentations from some of our presenters. Only 24 of our presenters have shared their presentations to date, and we are very grateful to them. But first, a quick recap! Over 400 delegates attended the 2017 SchoolNet SA ICT in the Classroom conference held at Brescia House School in Bryanston, Gauteng between 5 – 7 October 2017. It was a conference to remember with amazing international keynote speakers and a great assortment of local speakers as well. 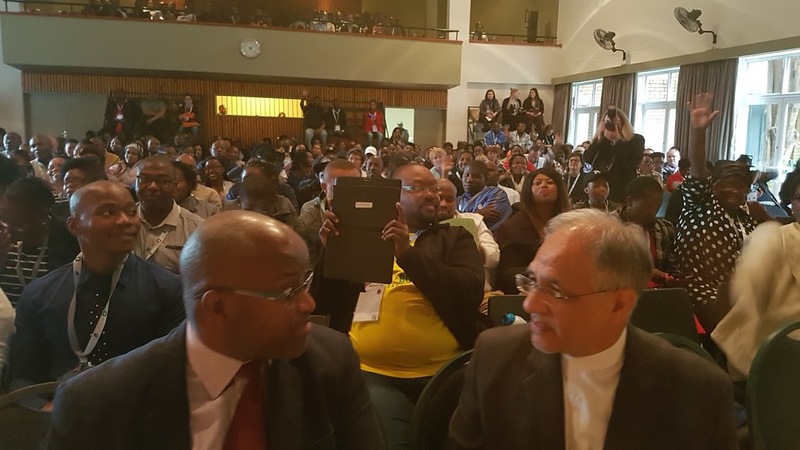 The conference was opened by Deputy Minister of Basic Education Enver Surty who also sat down with SchoolNet’s executive director, Janet Thomson, to define the national Department of Basic Education’s plans for digital learning. SchoolNetSA also celebrated its 20th Anniversary at a well- attended cocktail function at the SchoolNet Conference - and what a celebration it was! 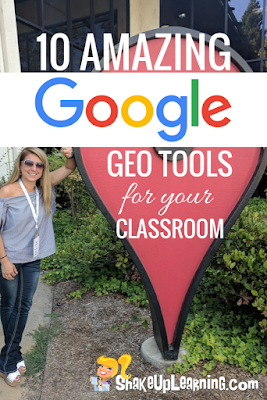 After looking through all the Google posts that were shared to various subscriptions recently, these are a selection that look useful for teachers https://goo.gl/rrqryH . (The link to previous posts can be found here https://goo.gl/CNO3M2). In this article Justin shares what was written in the Business Day article. 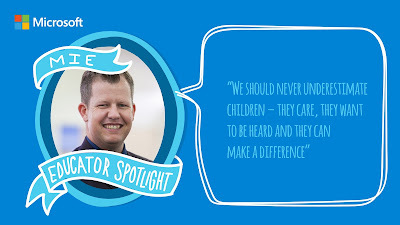 "TECHNOLOGY is a way of life almost everywhere you look – and the classroom is no exception. Schools are increasingly integrating technology into all aspects of teaching to provide quality education. Some, like SAHETI School in Bedfordview, have carefully mapped out programmes to ensure learners and educators have on-going access to and a good grasp of the most effective technology available to enrich learning both at school and home. 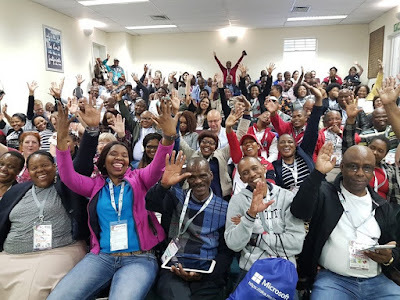 SAHETI was recently acknowledged as a forerunner in digital education when it became the fifth only South African school to be selected as a Microsoft Showcase School. 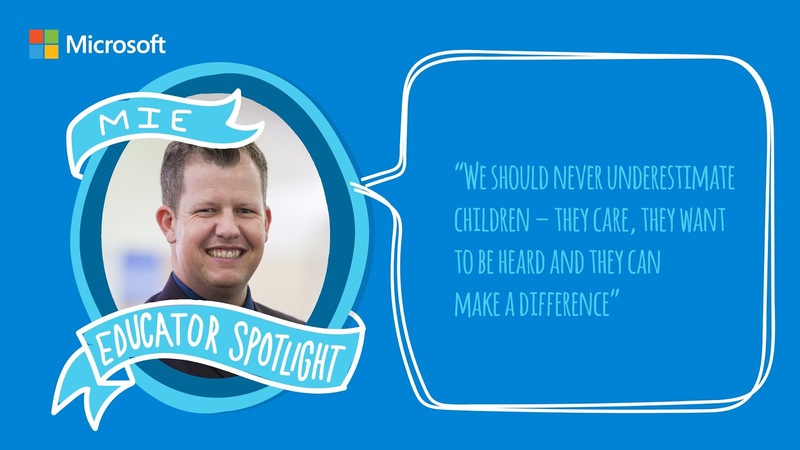 The Microsoft Showcase Schools programme is a global community of schools that recognise and amplify the use of technology to drive education and efficiencies school-wide. 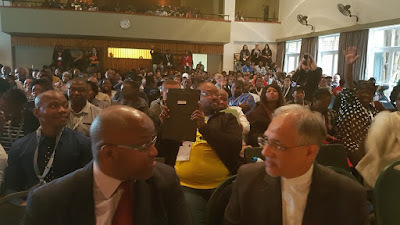 The announcement, in September, that SAHETI had been co-opted to the programme, followed information and communication technology (ICT) manager at the school, Justin Harper’s selection as one of five ‘innovative educator experts’ to represent South Africa at the Microsoft Education Exchange (E2) Global Forum in Toronto, Canada in March. The E2 event brings together approximately 300 educators from around the world every year. Recognising their efforts and achievements to combine content, pedagogy and technology to enhance education, the forum provides delegates with opportunities to collaborate, create and share their experiences over three days. Inspired to try new applications, full of fresh ideas from his peers and having participated in challenges to brainstorm ideas for future Microsoft products, Harper says he returned from Canada keener than ever to continue to drive SAHETI’s technology programme – which was already well established due (in part, at least) to the school’s bring your own device (BYOD) and training initiatives. Most recently, Microsoft Office 365 was successfully used for interaction between students and teachers during SAHETI’s third term subject assessment module (SAM) project, which is a project based assessment introduced by the school for Grade 10’s as a replacement of mid-year examinations. Applications used by the school also enable teachers to capture their ideas and to-do lists in one place wherever they are, says Harper. Microsoft Team keeps students up-to-date with assignments, announcements and grades. Technology also makes it possible for discussions to take place outside of class and gives teachers “a one-stop shop to create and grade assignments,” he says. SAHETI is equipped with more than 75 smart interactive white boards, 50 Aruba Wi-Fi access points, HP 3PAR and SAN data storage technology, and fibre break out. The school’s approach is firmly based on the premise that correct use of technology in classrooms has the potential to enhance teaching and the student’s ability to learn. “Creating a space for collaboration that takes learning far beyond the reach of the classroom is one of the reasons we use of technology in the classroom. Students can now easily participate in group projects even when they’re at home,” says Harper, adding that ensuring technology is in good working order and that the physical design of classrooms supports the best possible use of technology are also crucial to SAHETI’s on-going technology-driven success." SchoolNet congratulates Justin and SAHETI School on this achievement. My favourite screencasting tool, right now, is Screencast-O-Matic. Screencast-O-matic is a free, online tool to use if you want to quickly show someone how to do something on the computer. It easily creates a video of what you are doing and saying. These videos are called screencasts. If you want to create good screencasts without the hassle of downloading and installing any application on your computer then Screencast-O-Matic is the best available tool for the purpose. Screencasts are great to use in the flipped classroom. I have written about Screencast-O-matic before, but as time has passed this application has some great new features that are well worth mentioning. It allows you to create up to 15 minute videos free of charge. 15 minutes is a long video. Mostly you will want to stick to 2 - 3 minute videos. Screencast-O-Matic is a free, online screen capture tool. Screencast-o-matic can also be downloaded to your device and used offline. Navigate to http://www.screencast-o-matic.com to find Screencast-o-matic. This video tutorial 'Screencast-O-Matic 2017 Tutorial' https://goo.gl/2YYNQL is excellent and it gives a step-by-step instruction on getting started with and using this great application. I want to mention four other features that have caught my attention. You can now add a video insert of yourself presenting your screencast. You would do this by using the webcam and the screen at the same time. You can now add stock music tracks to your recording directly from the Recorder. After you complete a recording, click the music icon to the right of the timeline to preview each track and then add music to your video. With the Free Recorder, after you finish your recording Screencast-O-Matic will present you with a rotating selection of tracks for you to add to your recording. It’s easy to preview each track and then pick the one which suits your video best. Once selected, Screencast-O-Matic automatically adds ducking to the music, reducing the volume if you have recorded narration. Music will be automatically looped until the recording is finished. With Pro Recorder you get access to all tracks and the option to add your own music. You can also use the Video Editor to adjust audio settings. Increase or decrease volume, set timing for fade in/out of music, normalizing sound tracks but using ducking and setting audio levels between music and narration and turn, looping on/off. Many times your videos need additional visual aids to highlight a point. When you are narrating an explanation, having text annotations can help add important context. You can now quickly share videos directly from the Recorder. As always, you can review your recording before publishing to ensure that it’s ready to share. Share options appear in the Recorder when your video is published so you can instantly share with friends or community. 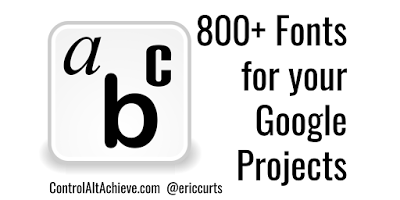 Teachers will love the fact that you can share your videos directly to Google Classroom. Enhance your lessons by adding a screencast to explain a concept. You can make quick videos about anything really. You can simply upload the file on YouTube or another platform and share the link with your students. You can record lessons, provide demonstrations, present information to an online class, tell digital stories, and give feedback on student assignments. You can also create assignments that require students to produce a screencast. Because of its ease of use, Screencast-o-matic requires little or no training to get started. 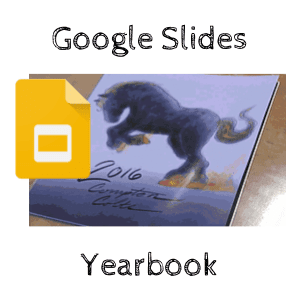 You can incorporate Screencast-O-Matic videos into Google classroom. In 1:1 environments your students can create videos to explain their thinking using Screencast-O-Matic. A fabulous tool, don’t you agree? Why not try it! Do you know about the free Freemake Video Downloader and the Freemake Video Converter software? Once you have downloaded it from Freemake http://www.freemake.com/, and have installed it on your Windows laptop, and you open it for the first time, it will open with the interface as show.n below. After you have made your choice of options, you click on Download and the download starts to take place. On my laptop it downloads to my Video folder. It is all very quick and easy. Here is a short video (0.39 mins) showing these steps. As you watch it bear in mind the limitations of the latest update. This is a tool that I use often to change the format of one type of video to another. I also use if for converting audio files from one format to another. Go to http://www.freemake.com/free_video_converter/ and download the Freemake Video Converter software. I noticed today that when you want to download it , it immediately also gives you a link to download the Freemake YouTube MP3 converter. What I discovered today on a post about Freemake on the TechRadar site is that the latest update to Freemake Video Converter removed the ability to download and convert files from URLs without upgrading to a premium subscription. This isn't immediately obvious from the interface, which still lists 'Paste URL' as an option in a blue box alongside the rest. The Freemake Video Converter interface is shown below. However if you are just looking for a quick, free solution for converting one video format on your hard drive to another format, this software is GREAT and it offers a large amount of options. It is just problematic, as far as I can see, downloading from URLs as a result of the latest updates. You can also convert audio formats to other formats using this converter. Today I exported some of the audio files from the great note-taking app AudioNote on my iPad, and I found that these sound files exported as .CAD files. I couldn’t open them in Audacity but I could open and convert them to MP3s using Freemake Video Converter. Here is a short video (0.46 mins) showing these steps. Why not try out this great freeware application. It really is worth downloading it to your Windows laptop. You'll enjoy exploring the different options, many of which I haven't mentioned in this post.